Latest Pool Blocks see more.. Wed Apr 24 2019 We Want YOU! 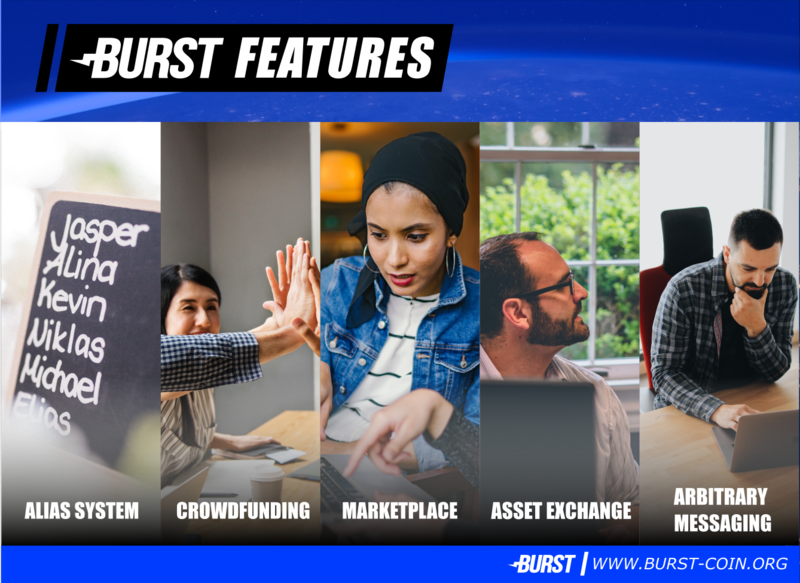 Here are some ways you can help BURST! Tue Apr 23 2019 New BURST Video on youtube, live now! Fri Apr 19 2019 Wooop! What Burst feature do you like the most? Thu Apr 18 2019 Can Burst be the truly decentralized alternative to Binance DEX and Launchpad for IEOs? Wed Apr 17 2019 Burst Wiki Makeover - Help Wanted! Fri Apr 12 2019 Jetson Nano - can this puppy mine Burst?